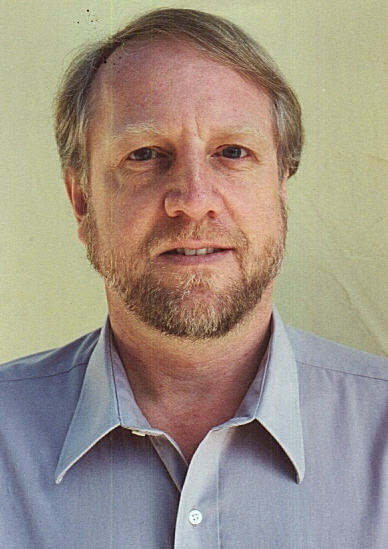 Shakespeare scholar Michael P. Jensen has taught the Bard’s work at Southern Oregon University, lectured at the Oregon Shakespeare Festival and published dozens of essays, articles and materials for television and radio. He recently met me online to give his views about the feature film “Anonymous.” The film discredits William Shakespeare as a playwright, and presents a contentious chronicle of the Elizabethan era. MPJ: The film “Anonymous” is about to lower the world’s I.Q. about the authorship matter. It claims that Edward de Vere, the Earl of Oxford, was the author of William Shakespeare’s plays. EH: Why do people doubt Shakespeare’s authorship? MPJ: This was hard for me to explain until Sarah Palin made her visit to Old North Church, the Paul Revere church. When questioned by reporters, she repeated history as best she remembered. She mangled it because she did not really know the subject, yet spoke as if she did. Those who doubt Shakespeare’s authorship do exactly this. They mangle the facts, yet speak as if they know what they are talking about. They say that Shakespeare could not have written his plays without a university education. They say that Shakespeare’s will does not mention his books; therefore he did not have books, and maybe could not read. It is true that Shakespeare did not attend a university, and books are not mentioned in his will. But other playwrights of his time did not attend university; and most extant playwrights’ wills do not mention books. If these are proof that Shakespeare was not a writer, then it is proof that the others were not either. It’s absurd. Doubters make up these fake problems because they don’t know how to do this kind of scholarship. You don’t look at Shakespeare and find a problem. When you study all the playwrights you find there is no problem. Shakespeare is pretty typical. Doubters probably are not smart enough to know they should investigate it this way. Instead, they try to find Edward de Vere’s biography in Shakespeare’s plays (which is unreliable). Hamlet was captured by pirates, and so was Edward de Vere. Baptista, in “The Taming of the Shrew,” has two daughters. So did Shakespeare. Dozens of people have been proposed as the true author, on the basis of biography. This is a dead-end approach. All documentary evidence affirms that Shakespeare wrote his plays and poems. No evidence supports anyone else. Edward de Vere’s fans rationalize problems caused by his death in 1604. “The Tempest” could not have been written before 1610 because it paraphrases a letter, written in July of that year, by William Strachey about a shipwreck; it uses other sources from that time. Computer analysis of linguistic tendencies reveals Edward de Vere as a very bad match for the author of Shakespeare’s plays. Facts do not seem to matter to these true believers. There is a superb Shakespeare authorship website by David Kathman and Terry Ross that will answer most questions:http://shakespeareauthorship.com. EH: Why does this matter? MPJ: My former co-teacher at SOU, Geoff Ridden, says that it doesn’t really matter who wrote Shakespeare’s works. What matters is that we have them to read, perform and enjoy. The problem for me is that the doubters have a missionary’s zeal to make converts. The film’s director, Roland Emmerich, said that he made this film to convert people, and the producers have sent study guides to teachers around the country encouraging them to teach that Edward de Vere was the author. They would love teachers to make field trips to local cinemas, and by the way, see the film. Jensen’s latest publication is a chapter on Shakespeare comics in The Edinburgh Companion to Shakespeare and the Arts. Author’s site: www.michaelpjensen.com.